Remmington Woods is part of the tour! The 11th edition of the popular Buffalo LIVING Tour takes to the northern suburbs on Saturday, April 13, from 9 a.m. to 5 p.m.
“This edition will see us visiting a total of six upscale living spaces, with great attractions that make for a compelling reason to see all of them,” remarks Paul D. Maurer, Buffalo LIVING Tour chairman. As with all of the previous events, the entire Buffalo LIVING Tour is free. Tour goers can download a pamphlet online or pick one up at a northern suburb coffee shop, library or restaurant. The pamphlet features a punch card that gets validated at each spotlight location. For those who visit all six, many great prizes will be drawn from the validated pamphlets. The top prizes will include a weekend stay in Ellicottville courtesy of Zaepfel Development and season tickets for two to the M&T Broadway series of musicals at Shea’s Performing Arts Center courtesy of The Amberleigh! Additionally, each spotlight location will provide either entertainment, food, beverages or all three. Attendees can start anywhere on the tour or take the free We Care shuttles which will originate at Remmington Woods and continue to all locations from 9 a.m. to 5 p.m. that day. Remmington Woods by Zaepfel Development – 1700 Wehrle Drive south of Youngs Road in Williamsville is a charming, three-story grouping of residences that are furnished with everything a person could want. The featured apartment is move-in ready. It’s a short walk to all the amenities of the Williamsville village and adjacent to the headquarters of Ingram Micro and Tops Markets. Remmington Woods will be the headquarters for the Buffalo LIVING Tour, so this is a great starting point to park in the large Zaepfel-owned parking lot, grab info about the tour, and take the free shuttles to the other locations. 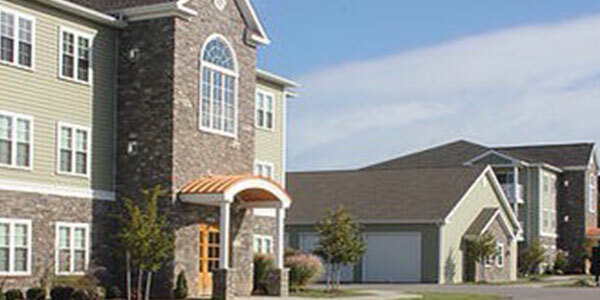 Walnut Grove Apartment Homes by Water Valley Management – 195-205 South Union Road in Williamsville. Situated in the heart of the Village of Williamsville, Walnut Grove offers quick and easy walking access to the shops, vibrant restaurants and other amenities along Main Street. The brand-new community offers high-end finishes and spacious apartments and townhomes ideal for today’s living. Call 783-1171 for more information about this property. Park Creek Luxury Living by Acquest Development – 408 Mill St. in Williamsville sits amongst the flora and fauna of Amherst State Park! These spacious brand new living spaces feature oversized balconies, high ceilings and walk-in closets. Their one- and two-bedroom apartments are all you need to enjoy life. You’d be surprised at what taking the weight of homeownership off of your shoulders can free you up for; take a long walk around the park, stroll to the nearby Village of Williamsville, even enjoy the outdoor fire pit while visiting with friends! Small pets are also welcomed here. The Amberleigh, a Capital Senior Living Community located at 2330 Maple Road in Williamsville – This adult, 55+ community has refined what every active senior could possibly look for in their carefree new world! Meals are served restaurant style, three times daily in their comfortable dining room. Say goodbye to maintenance and household chores. Say hello to a relaxed lifestyle with weekly housekeeping services, beautifully manicured grounds, and recreation and entertainment programming calendars that will be sure to please a wide variety of interests. They offer three service levels of care including Independent, Enhanced Assisted Living and Memory Care apartments so you can remain in your home in their aesthetically pleasing neighborhood setting. Say hello to someone you know at The Amberleigh. Vinecroft Retirement Community – 6945 Vinecroft Drive in Clarence Center. It’s tucked away in a country setting, but close to Transit Road with shopping and all the services one needs close by. Vinecroft Retirement Community is for seniors over the age of 62 who want to live independently while enjoying extra little perks, including meals throughout the day. Choose from apartments in the main house or spacious patio homes right on the grounds. Vinecroft pulls out all the stops for every Buffalo LIVING Tour, featuring a full afternoon of fun events, themed food and free gifts! The Belvedere by Natale Development – 375 Harris Hill in Lancaster between Wehrle Drive and Genesee. Spring into your happy life at The Belvedere! This brand new, 55+ independent living rental community features all-inclusive, unique resort-style amenities and activities. Eight different floor plans to choose from ranging in size from 1,050 to 1,750 square feet. Highlights include a heated outdoor pool with pool house, putting green, on-site resident fitness center, billiard room and a pub. The grounds boast a nature path and a forever-wild wooded area to enjoy. Natale Development promotes living at The Belvedere as “right-sizing,” leaving your large home yet not sacrificing things like ample space and lifestyle comforts. Buffalo LIVING Tour’s main presenting sponsor is Nationwide Insurance – Getzoni Agency. Supporting sponsors include BNHome.com, Creative Storage Solutions, CrossTree Creative Company and We Care Transportation. Log onto www.BuffaloLivingTour.net for photos of the living spaces, information and maps that can be printed for the tour. Be the first to comment on "Northern suburban living to be showcased in popular tour"